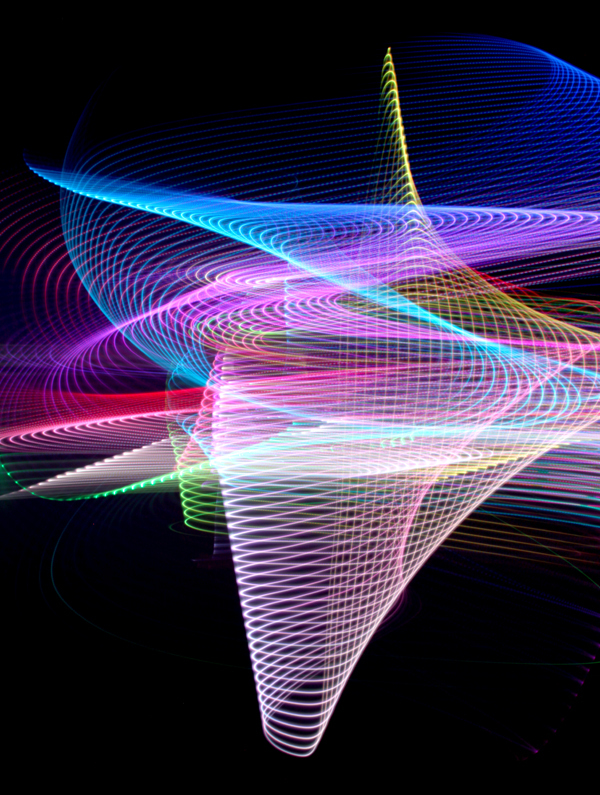 Spectrum Manners - Anahata Series is a mixed media art piece combined of photography, silk screen and kinetic light art. 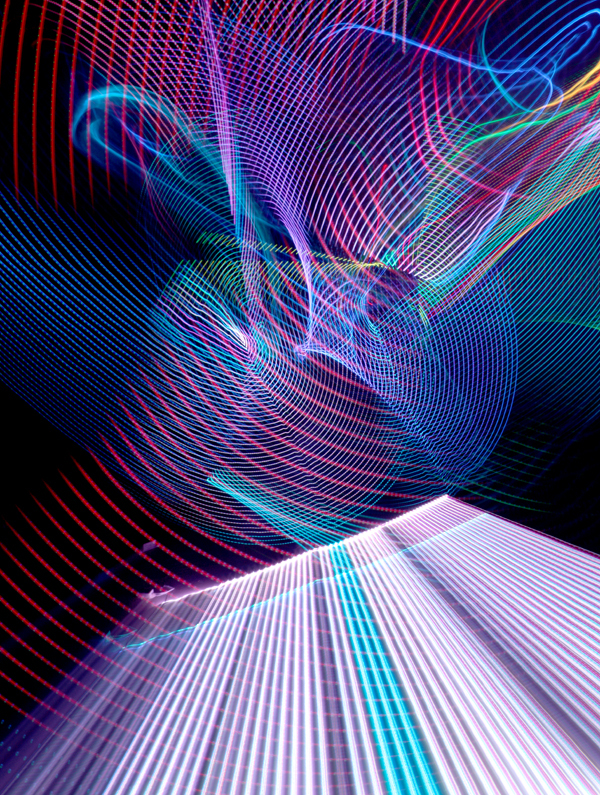 The still image in the background originates from the artwork Spectrum Manners, a series of experimental photographs by Teddy Lo and photographer Vanh Wan. 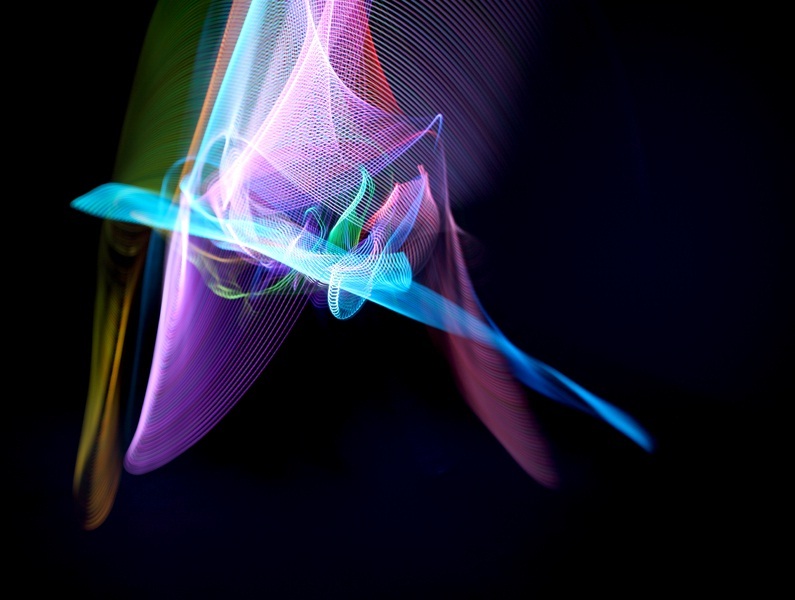 The two artists created a visual language by exploring different body movements such as yoga, breakdance, kung fu and fire spinning varying shutter speeds with LED light in a dark room. This process of creating the work is an interplay between light and his behaviors that requires total control and balance. Through the artists’ carefully choreographed movements and programmable lights, the LEDs leave compelling trails of dynamic color lighting. They turn the capturable in real life – the artist in front of camera – into something VISIBLE, and turn the uncapturable - the lights - into something INVISIBLE, while capturing the whimsical color and light in a frozen frame.